Conventional or Chinese Phones: Which One to Choose? Chinese phones is a hot topic discussed in relation to the similarity with the conventional cell and the question that hangs in the air is - What is the best? What are the advantages of each? In this paper compared approaches already made by the device-specific data and testimonials from users who are using or have used both types of phones. Standard and three separate copies, the Nokia N95 and N95 Mini, BlackBerry and BlackBarry, and finally, Hiphone iPhone. Chinese Mobile phones have become the rage among users because they have the same display to conventional phones and some additional applications such as analog TV, simultaneous entry of chips, among others. Example is the iPhone and Hiphone. The input Hiphone has two SIM cards, something the iPhone can not. The disadvantage of the Chinese mobile phone, compared to Apple, is that the iPhone has a bright screen and your powerful touchscreen has a higher sensitivity, unlike the Hiphone the screen does not respond immediately to touch and does not have internet system. The comparator was already getting feedback from users regarding the choice of a conventional cell or similar. Fraidemberg Rafael, 22, is logistics manager and has a Chinese cell phone. The reason was the cost of buying down the unit and argued, "I bought a similar cell at low price and I think that cell phones are all the same, because the most important is to make and receive calls. If you want something different, I prefer a desktop," Fraidemberg points. Already the official Wellington Santos, 24, takes a different view in relation to similar phones. 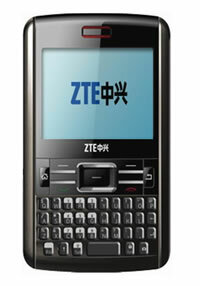 According to him, prefer to pay more on a conventional phone to buy a similar, "I never had a cellphone in China. I prefer to buy a conventional cell, such as the Nokia N95, N95 than the Mini and the low quality, multiple applications does not work just like the original cell, "says Wellington dos Santos. View like that of Lucas da Silva Ailton 50 years and manager of shopping. For him, a cell is required to be complete and have warranty for defects, "is complicated not guarantee a product, because it does not break specialized technical assistance. Also, some applications such as Internet phones do not work, says the manager. Augusto Almeida is 19 years of administrative support and has a similar cell and repent, "The Chinese have good cellular functions, but the hardware it is very bad, the battery does not last, and is poorly translated. I bought the cost down," says. However, similar as BlackBarry, Mini Hiphone N95 and just "copy" the display and firmware applications entries increasing chip and TV. But is not warranted, and Internet system or other applications that conventional. But in compensation the cost benefit, similar are absolutely cheaper. Myth or Truth: the First Charge in the Battery Cell Need to Take 8 to 12 hours? Why Cell Phones and Tablets do Not Need Cooler? 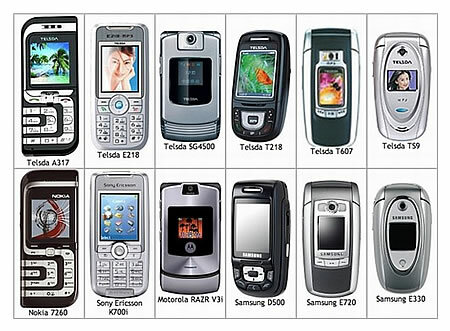 Source: PhoCard.com - Conventional or Chinese Phones: Which One to Choose?
. When to use, salon belya bustelle.